Contact the Academy office today to schedule a demonstration during your next stop. 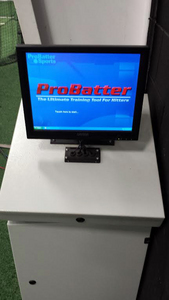 The Pro Batter machine is available for rentals, for instructional lessons and can be combined with an analysis of swing mechanics broken down utilizing Right View Pro software technology. For a look at the ProBatter in action, click on the photo above (far right). 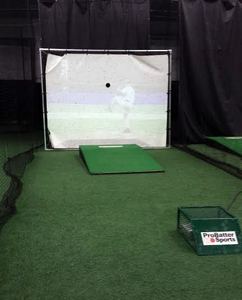 Since 1999, ProBatter Video pitching simulators have become the industry leaders for baseball and softball. 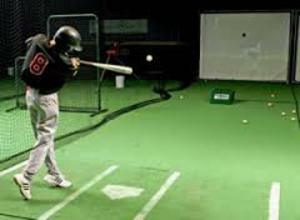 They are truly the Ultimate Training Tool for hitters. 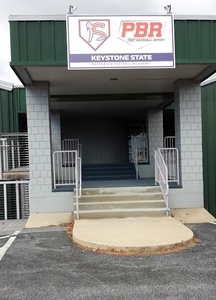 At the core of each simulator is a high-tech, commercial pitching machine that can throw virtually any pitch that a pitcher can deliver; a larger video projection screen on to which is projected video HD quality images of actual pitchers; and a touch screen controller that is very easy to use. CLICK HERE to view rental pricing and schedule availability for all areas located in this section of the Academy. Clients may work directly on swing mechanics and analysis via a lesson package specifically designed for the Pro Batter Cage. 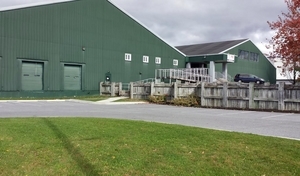 CLICK HERE to view a lesson pricing and packages offered at the Academy.